So you’ve decided to take the big step. You put on your fancy clothes and got married, celebrating your love and commitment to your other half. You even threw a big party to commemorate your luck of finding your partner in life. Now, it’s time to take off for to magical honeymoon. Where will you chose to make your first memories as a married couple though? Greece is the obvious honeymoon destination, and for good reason; who wouldn’t want to spend their days laying in the suns, swimming in exquisite beaches and consuming all kinds of fresh, delicious food and drinks? That’s why we have decided to lend a helping hand and share with you tips and trip planning ideas for your honeymoon in Greece. Don’t stress, we’ve got you! Now, we know Athens might not be the first thing that comes to mind when you think of a honeymoon destination in Greece, being a large city and all that, but you can’t possibly visit Greece without spending at least a couple of day in its culture-filled capital. Take a stroll around the center of Athens, visit the majestic site of the Acropolis and try some of its best greek coffee, food and drinks offerings. We promise you won’t regret it in the slightest! And if that wasn't enough, check out plenty of more ideas of things to do in Athens to find something that will suit you better! If you want to make your stay in Athens extra special, you should definitely book a room with a view of the Acropolis. Can you think of a better way to enjoy your sunrise or sunset than from the comfort of your own room, cozied up with your spouse, admiring the spine-tingling ancient monument? Neither can we. Greece has a coastline of 13,676 km -the largest one in the Mediterranean and the 3rd largest in Europe- consisting of 6,000 islands and islets scattered in the Aegean and Ionian sea, of which 227 are inhabited. Seems like a waste to restrict yourself to just one, doesn’t it? For that reason, we suggest you share your time in Greece between at least a couple of our islands. You can either try island-hopping or, if you are looking for something a bit more relaxed, just pick a couple of destinations, such as the cult-classic Santorini with its heart-stopping sunsets or the less-known Ikaria; an unconventional Greek honeymoon destination that will offer you an experience both relaxing and intense, with its famous night-long festivals and breathtaking beaches. You need to treat yourself to the luscious - yet healthy- Mediterranean diet Greece is known for with an open mind. Don’t shy away from traditional dishes, such as grilled octopus, just because they sound weird. Explore everything the Greek culture has to offer, with its cuisine being at the top of the list. Try to avoid eating at your hotel -the food in hotels is usually overpriced and not of great quality- and opt for a variety of local taverns instead. It is worth wandering around the restaurants to experience not only the traditional tastes through their delectable dishes but also their incredible vibe and festive atmosphere. ‘Yemista’, ‘dolmadakia’, ‘souvlaki’ and ‘mousaka’ are only a few of the dishes you can’t leave Greece without trying. Weddings and stress go hand in hand, however, you don’t want to carry this stress into your vacation; your fairytale cannot afford to be ruined by villains. Although the mishaps and bumps along the way are the moments you’ll remember and laugh about in years to come, why not eliminate completely the anxiety of organizing everything yourself? It’s time for you to sit back and relax, letting a travel specialist ensure your honeymoon’s smooth sail, pun intended. Let experienced professionals organize your time in Greece, from transport and accommodation to entertaining activities, according to your preferences, needs, and desires. If you need any help with making your dream Greek honeymoon come to life, don’t hesitate to contact us -we’ll be by your side to assist you with anything you require, and of course introduce you to multiple tours around Greece! Making the most out of your time is key, especially if you’re only going to spend a small number of days in each destination. To make sure you’re are taking full advantage of every single minute of your stay in Greece, we suggest you plan a few tours both in Athens and in the islands of your choice. From sightseeing to culinary and walking adventures, there is a tour for everyone! 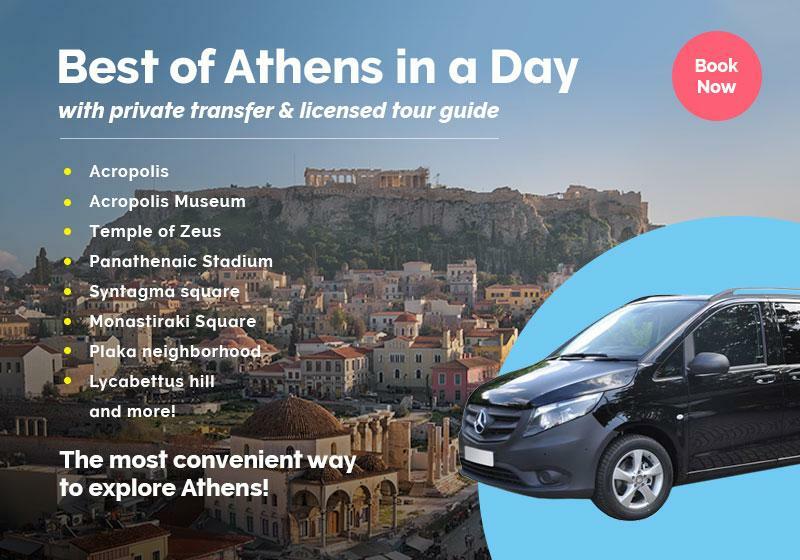 You can indulge in an Athens food tour, a tour around Acropolis, an Athens street art walking tour or even an Athens Riviera sailing cruise completely hassle-free! What’s more, if you’re up for some fun and creative times, it is worth booking a Greek cooking class or a Greek dance lesson, so you can learn how to cook and dance like a local! If you’re a wine lover, you can’t miss an Athens wine-tasting tour that will help you discover Greece’s local varieties wine varieties. From exploring Acropolis secrets to catching the sunset in Santorini and taking a selfie in Naxos Venetian castle, choosing to engage in tours and activities will enhance your honeymoon experience, helping you connect with Greece on a deeper level and experience its customs, traditions, dishes, and landscapes first-hand. Greece might be the perfect way to start your life as a married couple, but since timing is everything, you should also pick the perfect time for your honeymoon in Greece to unfold. Taking into consideration the extremely high temperatures and intense popularity of Greece, and especially the Greek islands, we think that late spring to early summer, as well as early autumn, might be your safest bet. Specifically, the months of May, June, September and even October should be the most preferred for visiting Greece, as in those months the weather is sunny yet mild, the prices are lower in comparison to high-season months like August, and the crowds are a lot more sparse, enabling you to have a fun, comfortable and relaxing time. We like to think that people who don’t believe in fairytales have never been to Greece! Our country is what honeymoon dreams are made of, offering endless possibilities and tailor-made Greek experiences for newlyweds that are looking to have a care-free time under the shining sun. Keep in mind the tips we just gave you and we promise that once you get to Greece, the only thing left for you to do will be to make memories as sweet as your wedding cake!